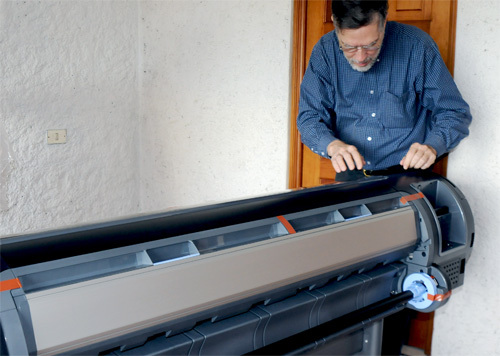 HP Designjet Z3200,22", 44" for giclee, fine art photography, and proofing, 12-colors with better red ink to replace HP Z3100. Photokina will be a nice place to reveal the new HP Z3200, with better red ink. Has 69 ml ink cartridges, which are kind of small for what should be a serious printer. But also has 130 ml cartridges. Ironic that Epson finally realized these small cartridges were not a good idea; the Epson 7900 and Epson 9900 now offer larger size ink containers (whew, at last). 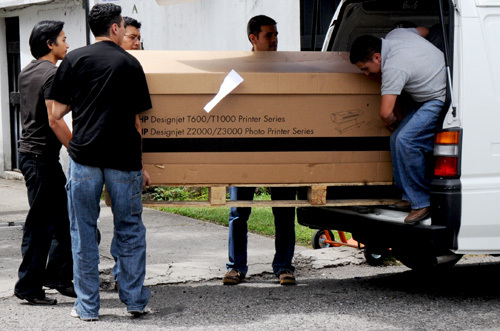 HP Designjet Z3200ps photo printer arrives at FLAAR (mid-October 2009) for evaluation for giclee, decor, and fine art photography. 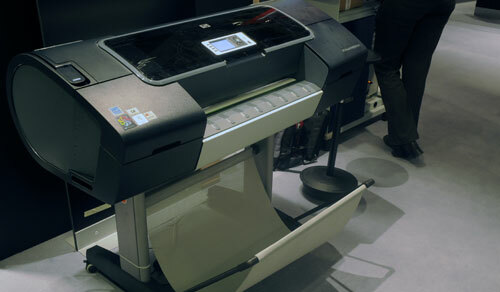 The HP Designjet Z3200 large format printer at Photokina 2008. 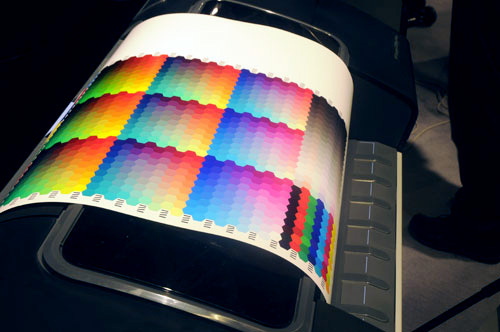 Sample printed by the new HP Designjet Z3200 printer. 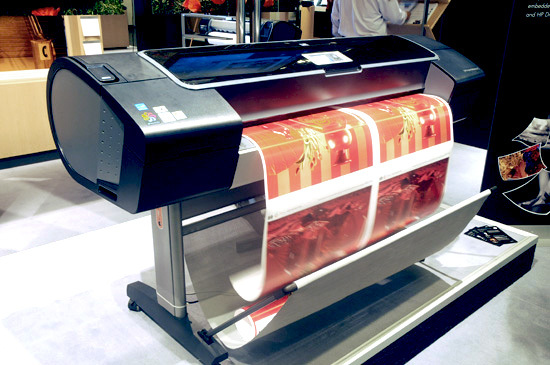 HP Designjet Z3200 wide-format inkjet printer at Photokina 2008. 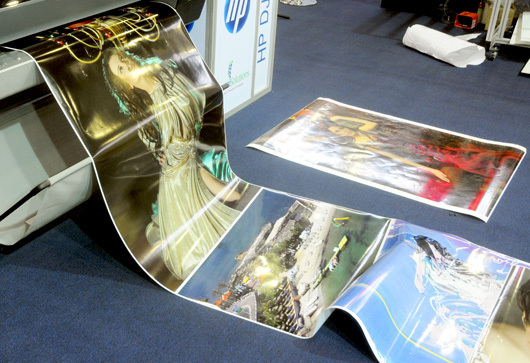 Samples printed by the HP Designjet Z3200 44-inch printer. First posted September 9, 2008.